When I lived in Indiana, there was a strawberry farm not far from our house. Back when life was “simpler” (is it simpler when you have a young child? hmm, I may need to rethink that statement! ), I made it over there several times a season to pick berries. I’d make strawberry pie, strawberry freezer jam, etc. Now it’s been years since I’ve picked strawberries. I keep thinking I’ll make it out to the Berry Patch near Nevada, IA, but it seems like July comes before you can blink your eyes anymore, and the strawberries are gone. Not that I am saying there is anything wrong with red raspberries, black raspberries, blackberries and blueberries, mind you! But that first berry of summer just seems to elude me now. 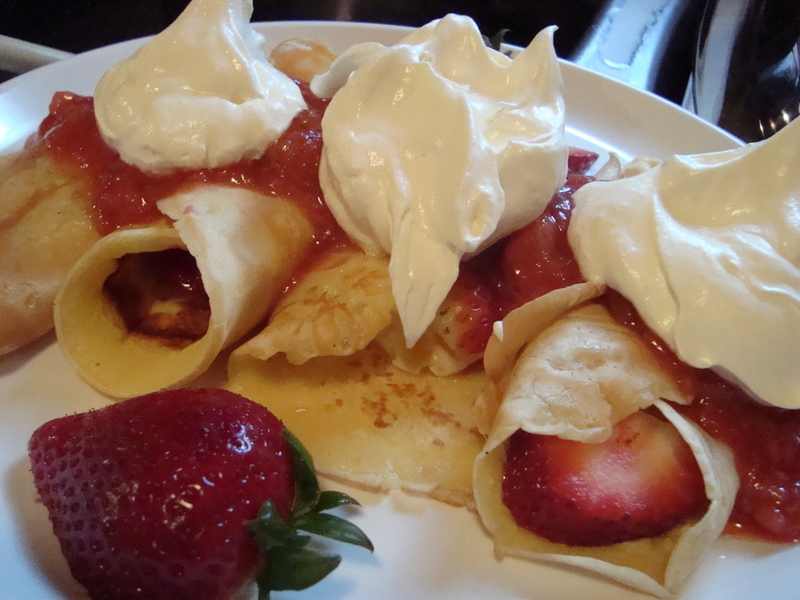 Anyway, with all that in mind, I did make it over to HyVee and got enough berries for crepes on Memorial Day, so I guess summer hasn’t totally gotten away from me!